I adore the overhead chandeliers in combination with a pair of fabulous sconces. 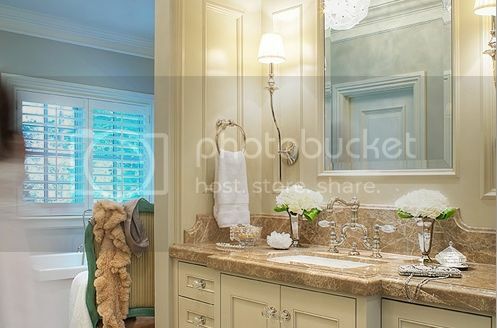 Embed the sconces right into the mirror or surrounding millwork, and the glam factor skyrockets! 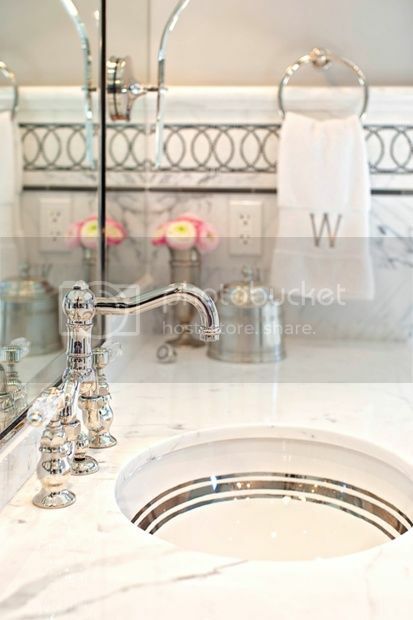 Sink inlay, monogrammed towels, sculptural free-standing tubs, and hardware from heaven is the stuff dreams are made of. 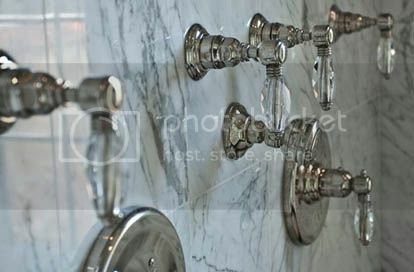 These fine details are what really elevate a space to something special. 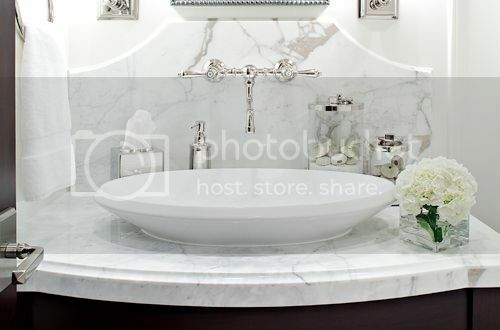 I think you'll probably agree that slathering a bathroom space in marble can only be a good thing. 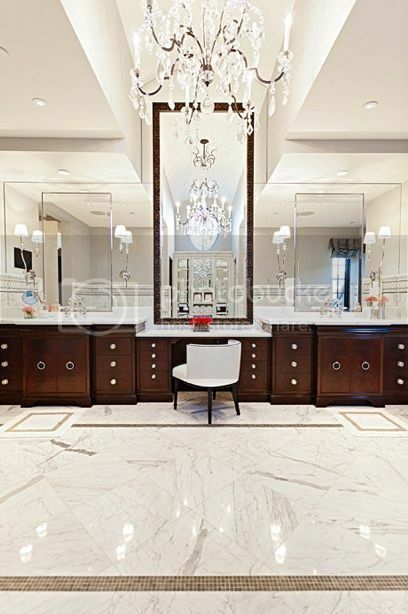 Bordering details on marble flooring, and rounded details on the backsplash above make the marble sing. The lightness of the stone also helps to keep the spaces appearing light and clean. 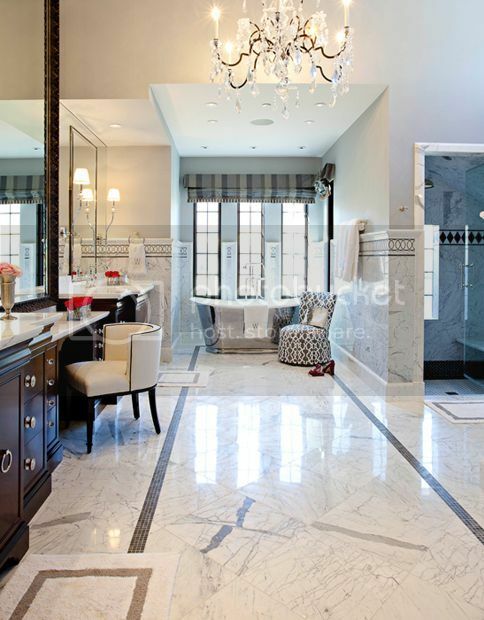 There are so many things to love about these spaces, they are truly classic & refined rooms! 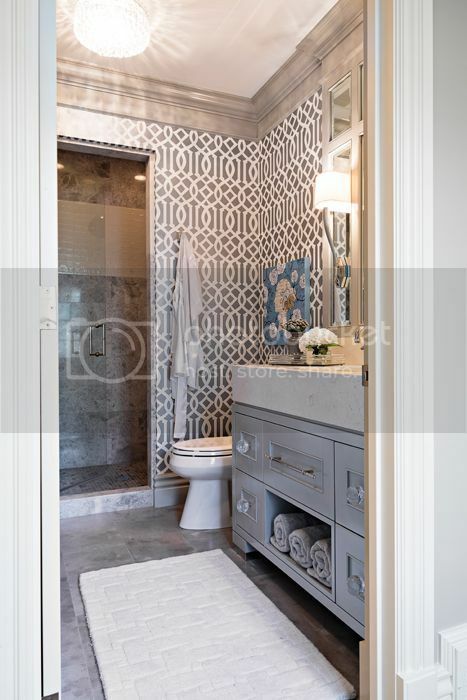 To see more of work of Elizabeth Kimberly Design hop over to their portfolio. 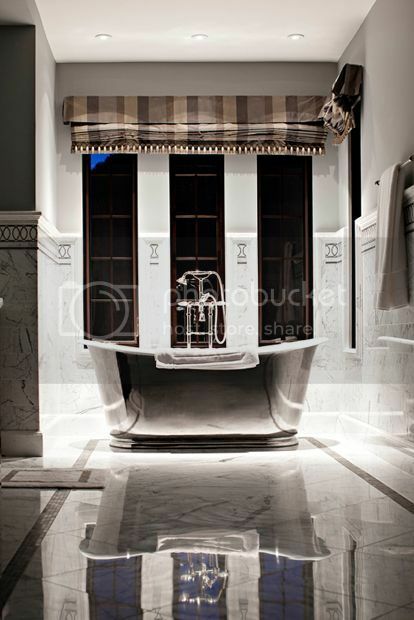 Nancy, I love this post and these gorgeous baths....the details do truly set them apart! Wow these are amazing! I'm lusting after every single one! 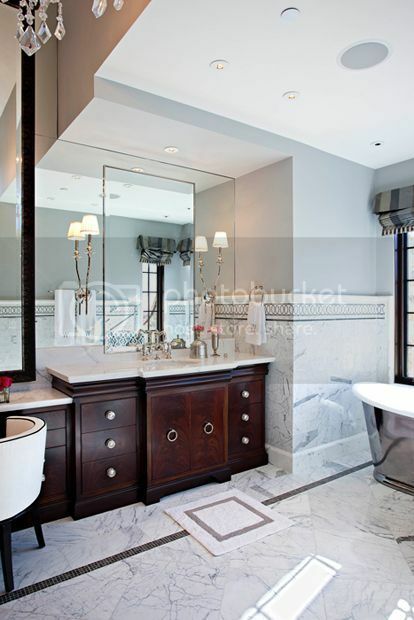 I love marble, and with the abundance of light fixtures...all those bathrooms look perfect! Lighting is so key in any bathroom! for me at least! These are all stunning.